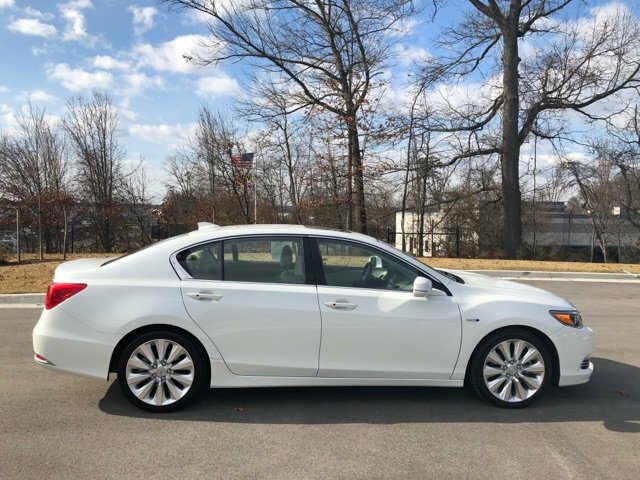 I sold my TL SH-AWD and am looking for a Sport Hybrid. I'm looking to buy used, a CPO car, preferably a 2016, but would consider a 2017. 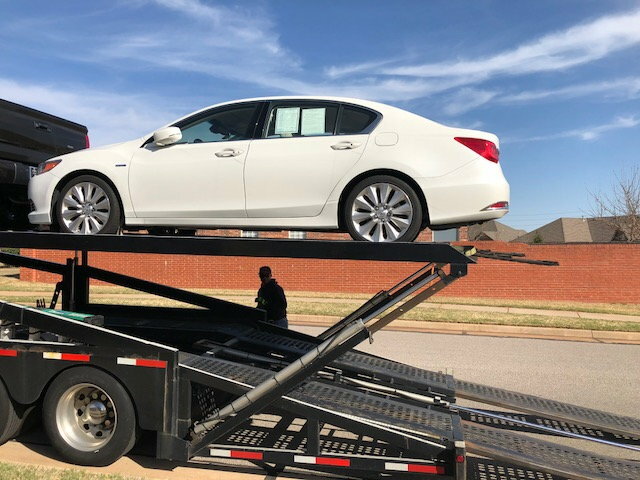 What I've seen sold, I just missed both these cars, 2016 RLX Sport Hybrid with Advance package, one was priced at about $39,900 and the other at about $39,800. One had just short of 25K miles and the other was just short of 15K miles. Both sold and I'm assuming at asking price or very close to it. Some dealerships are asking more for these car, but they''re not selling at the prices they're asking. Regardless of what the auto pricing guides say, dealerships ask, I'm witnessing cars selling at this pricing level. 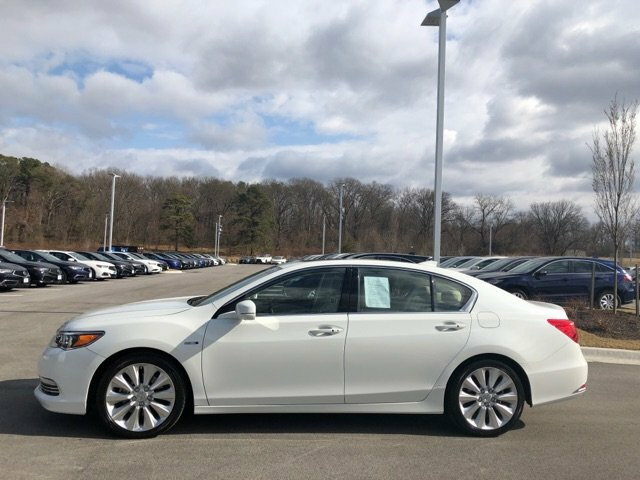 If anyone comes across a 2016/2017 RLX Sport Hybrid with the Advance Package, I would appreciate a heads up. Thanking you in advance. I did test drive a 2018 Sport Hybrid with the Advanced package (the only way they come now), last Saturday. It's a marvelous road machine. Thank you. 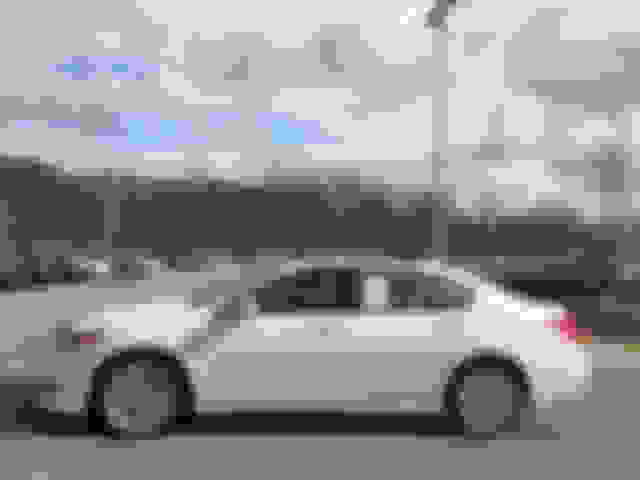 I've found four or five 2014s out there, searching the Acura Website for Certified Cars. I think I'm going to pass on the 2014 model, and I'm not sure how the CPO would work on a 2014. I guess I could buy an extended warranty through Acura to supplement the CPO. And I found one. Bought a 2017 SH/Advance Package, with just short of 10,000 miles. It’s a CPO car with a placed in service date of January 2018. I’ve got a lot of warranty left on this. It was delivered a couple hours ago. Had it shipped from Maryland to OKC. It’s very dirty. I’m taking tomorrow off to clean and do a familiarization with the car. I test drove a 2018 and that made me pull the trigger on this car. Just some observations, my opinions really. You can’t beat these cars for the price. I don’t care what Kelly Blue Book says, Mr. Market determines what the selling price is going to be. My point being, these cars sell at way below KBB. Everyone wants a Lexus, MB, BMW, or Audi. These cars have gotten virtually no press, and no exposure. They sit on the lots for months, until the dealer sets it at a price to move. Very nice. You are right, if you get one, you won’t be disappointed, nor broke! Congrats and enjoy your day of discovery! Congrats on your excellent find! Yes it does looks stunning in white, but then I have a white one also . I hope you enjoy it as much as we have! Let us know what you think about it, after you have driven it for a little while......for me, after almost 3 years I am still enjoying it as much as when I first got it! ......for me, after almost 3 years I am still enjoying it as much as when I first got it! The big car's tendency toward neutral handling and transition to oversteer will surprise people who don't know that this is what it's supposed to do. I surprised a BMW 535i owner this morning in Sport mode. He taunted me, I took the bait, and .... , gone. I have a 1964 Plymouth Fury, with a push button automatic. Back in the early 60s, Mopars ruled the strip with the 426 Wedge Stage III Cross Ram Engines, and 727 Push Button Automatics. The Old Timers called it, "Typing your way to Victory!" Congrats! Looks great! Light interior too I can see. Congratulations mrrobato. Shopping around and waiting for exactly the right deal is definitely the way to go to buy a rare gem like the RLX Sport Hybrid. Enjoy!!! I noticed some time ago that BMW would never use the TL (my car) or the RLX SH on their site as a comparison car to the 535, and with good reason. Both will smoke a 535! Grats! As others have said here, after three years, I still look forward to every time I have to take a trip in my '14 RLX Sport Hybrid. It is an amazing car. And so far, pretty much nothing has broken (one blind-spot sensor). Yes, the infotainment system is slow, but other than that, it's been a joy! Congrats! Same color scheme as what I have. You have a lot of warranty, for sure. Enjoy! Yes, congratulations! I have the exact same car but in 2016 flavor and love it very much! Many happy miles driving your car! I’ve had the car since Monday. It’s as good as I had hoped it would be. It took me a day to quit reaching for the shifter. I’m good with the buttons, don’t have to look any more. The infotainmentment system is clunky. However, I take solace in the fact I didn’t pay $175,000.00 for a sucky infotainment system. “No, it's this new infotainment setup with all the hard buttons in a giant sheet of shiny black plastic. This car is truly a sleeper. It’s faster than it feels. I haven’t tried to take on any high speed sweepers yet. Really haven’t pushed this car except for some straight line hard acceleration. My impression of hard acceleration is that it’s quiet and effortless, no strum and drang, it reminds me a bit of the acceleration of a passenger jet on take off. Without a doubt in my mind, this car is the best bang for the buck on the market. 377 horses, 341 ft-lbs of torque, hybrid technology putting a boat load of torque to the wheels as soon as the electric motor shaft turns, luxurious interior, great sound system, and Honda reliability. What’s not to like? Of course, Best Bang for the Buck cuts both ways. Not a lot of demand for the car, so re-sale could be rough unless you can find the right person. That’s okay, I don’t plan on parting with this car for a while. I’ve always wanted an Acura since the Legend came out. I’ve owned the TL SH-AWD and now this. Both great cars, under appreciated by the American public. I really don’t see that changing anytime soon. I remember that car...you just had to push ONE button..
Then the hand of God came down and everything........... transformed...........Your perception of Reality on the way to......... Nirvana ..
Last edited by Philisophe; 04-22-2018 at 02:28 PM. I've been contemplating one of these....... Hard to beat the value. I've owned this car for four months and have put maybe 700 miles on it. I only drive it on the weekends. I had an opportunity the past couple days to drive it to work. Works about 25 miles away. I run down I-35 for about 15 miles and East on I-40 maybe 5 miles. 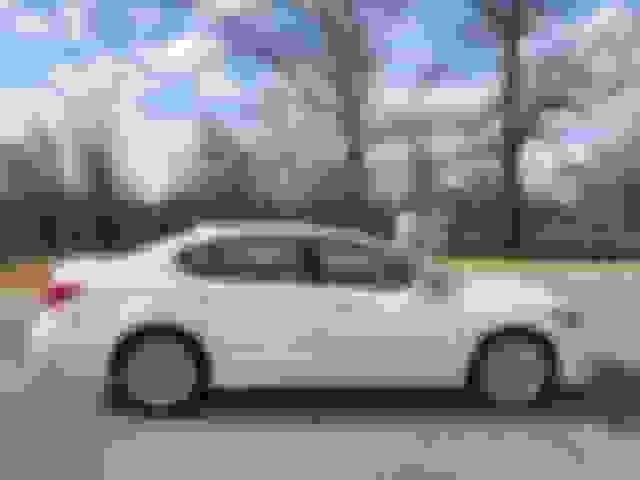 I owned a 2012 TL SH-AWD prior to this car. I leave for work about 4:15 am. Most the time traffic is sparse, sometimes a little bit more than sparse. I was going 80 mph and floored the accelerator. The car had strong acceleration up to 120 mph. I was running out of road due to coming up on a couple vehicles, so that was the run. The car felt like it had another 10 - 15 mph of hard acceleration left in it. My TL started running out of steam at 120 mph. Going from 120 to 128 was fairly slow for the TL. The RLX SH is a much, much better high speed car than the TL. I think the RLX SH is a 90 mph cruiser. I feel safe and I feel like I have enough reaction time, it's not white knuckles driving. Running down a straight road the RLX feels planted. The transition from I-35 to I-40 is a 90 degree overpass sweeper. I entered the sweeper at 81 and maintained it all the way through. The RLX-SH was not planted as well as the TL, not close. I've taken the TL into that sweeper at 90 and exited at about 95. The TL felt like it was on rails, the RLX-SH, not so much. It wasn't bad, just not planted like the TL. I prefer the RLX SH over the TL SH-AWD. The RLX is a better riding car, it's more supple, and thats why it doesn't corner like the TL. I think the RLX-SH does everything better than the TL SH-AWD but cornering. I think the RLX SH is a 90 mph cruiser. My lifetime average is 31 mpg. I'm lucky that I commute on country roads that allow EV mode ⅓ of the time. At 90, you don't get any electric power for forward momentum any longer (although they will still come on to vector you through a turn or even to change lanes). In consequence of virtually complete reliance on the V6 motor, the fuel economy plummets. will they vector at 90 (or anything above the cutoff)? I thought they flat out cut off. I had a 2012 TL SH-AWD also, and I can say that is my experience also. Although I believe the better cornering ability on the TL is coming mostly from the mechanical SH-AWD, and less from the suspension setup. I don't think the electric motors have the "strength" to vector the rear wheels, as much as is needed. The last time I looked I was getting around 25mpg for running around town, and I don't drive particularly slow. I'm thrilled with the 25mpg. I made a post citing one of the car mags, based on an Acura interview. The rear electric motors stop providing power at 78 mph. However, they'll still vector for steering. I've never found a definitive answer for the front 47hp motor. Does it cut out? If so, at what speed. for the electric systems to handle reliably. need four-wheel drive at high speeds. If you're spinning your front wheels at 80 mph, you may as well start dialing 9-1-1.)" https://www.roadandtrack.com/new-car...x-coolest-awd/"
The article implies that the front electric motor continues to supply power above the 78 mph cutoff for the rear electric motors. I did see an article that said the planetary gearset would provide vectoring if motors were off. However, I don't see how it would work since the vectoring would have to be equal and opposite for each wheel. Doesn't seem like that would fit the situation at high speed. A second RLX Sport Hybrid, or a MDX Sport Hybrid?